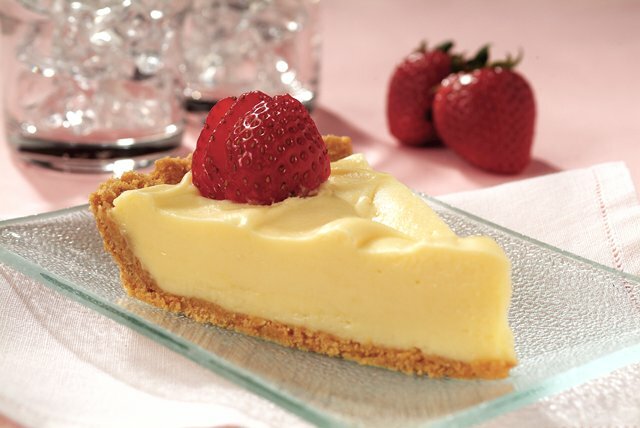 The filling of a no-bake cheesecake mix is blended with melted white chocolate before chilling. It's perfect for a family dessert or entertaining. Mix Crust Mix, sugar and margarine thoroughly with fork in 9-inch pie plate until crumbs are well moistened. Press firmly up side of pie plate first, using finger or large spoon to shape edge. Press remaining crumbs firmly onto bottom using bottom of a dry measuring cup. Beat milk and Filling Mix in large bowl with electric mixer on low speed until well blended. Beat on medium speed 3 minutes. (Filling will be thick.) Stir in melted white chocolate. Spoon into crust. Refrigerate at least 1 hour. Store leftover cheesecake in refrigerator. Serve topped with fresh strawberries.